Home/ About Us/ Subsidaries/Nanchang Ya Li Ready-mixed Conrete co., Ltd.
Nanchang Ya Li Ready-mixed Conrete co., Ltd.
Nanchang Ya Li Ready-mixed Concrete Co., Ltd. (the “Company”) was established by Jiangxi Ya Dong Cement Co.,Ltd. It is situated in Baishuihu Industrial Zone, near Ganjiang, Changbei. Its registered capital was RMB60 million, with total assets of RMB140 million and a total site area of 59,997.3 square metres. The Company’s principal business scope includes commercial concrete, cement storage, sale of cement stored in transit, formulating cement, manufacture and sale and transportation of cement products. Main production facilities include two commercial concrete mixing plants, a wharf that can berth 1,800 tonnes vessels for its exclusive use, 13 steel cement silos (with a capacity of 2 million tonnes/year), and two cement packing machines (with a packing capacity of 200 tonnes/hour). To ensure accurate measurement during concrete production, the Company imported key production facilities from reputable manufacturers, including the automatic PLC control system used in the production process, two 3m3 concrete mixers produced by Shanghai Tong Zhi Guang Construction Machinery Co., Ltd., and concrete’s load bearing measurement device. The Company currently operates 14 10m3 concrete mixer trucks, nine 14m3 concrete mixer trucks and three 16m3 concrete mixer trucks by Mitsubishi (FUSO), as well as five 42-52 m boom pumps, three truck-mounted pumps, and one dual-engine high-rise, high-pressure pump with vertical delivery of over 300 m. The Company’s current production capacity is 360 m3/h, with a monthly concrete production of approximately 50,000m3. There are 17 technicians working at the Company’s established commercial concrete mixing plants, and there is a concrete testing laboratory. The Company would procure internationally advanced concrete testing equipment to ensure production of high quality concrete. The sand and gravel materials used to produce concrete are discharged directly from dredgers to the Company’s sand and gravel plant, which reduce the transportation costs of raw materials, thereby enhancing market competitiveness. 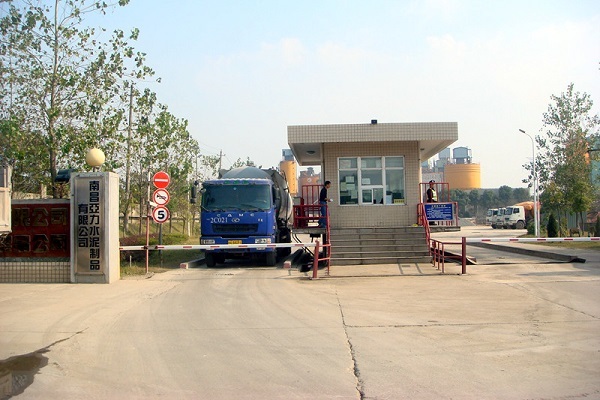 The Company also provides cement storage service to Jiangxi Ya Dong Cement Co.,Corporation Ltd., formulates PO42.5R and PSA42.5 and offers silo terminals for storing PC32.5 and PII52.5R in transit, mainly for sale to Nanchang City and its surrounding areas, such as Xinjian County. The Company’s maximum output volume has been 8,000 tonnes/day since its inauguration in November 2005. The Company will leverage its high calibre technical staff and sophisticated equipment to ensure stable supply of highly quality concrete and cement sales service to customers in Nanchang City and its surrounding areas.